A simple and sober place with cozy and warm appearing rooms. 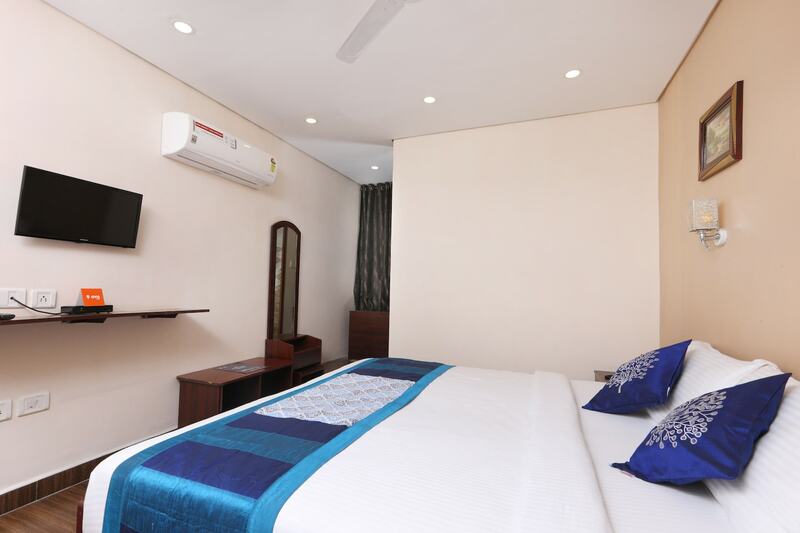 Palm Tree Corporate Anna Nagar is a hotel that attracts guests with its simple and classy decor. The bedrooms at the hotel are painted a combination of light shades, lending the room a light and cheerful ambience. The bright cushions add a splash of colour to the room. The hotel provides its guests with free Wi-Fi and power backup so that they may remain in contact with the rest of the world. Other amenities offered by the hotel are a geyser, elevator, parking facility and a card payment option.